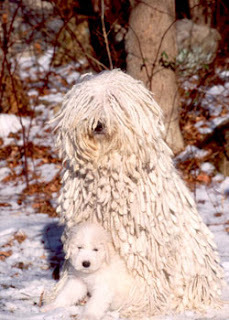 That is a cousin breed to a Kuvasz, similar job and temperament. We just don't know how you deal with that kind of coat. I'd love to meet one; they seem super-cool. When I researched the article I got the impression that they don't shed much, but there's still a decent amount of work on the coat to keep it from tufting together. Hmm, I guess Florida is a bit too hot for them, lol.